Simple guide how to get additional controls (WASD, weapon binds, pause key) for Wolf4SDL. You still have to live with the y-axis movement of the mouse but that shouldn't be a problem if you got a stable hand. 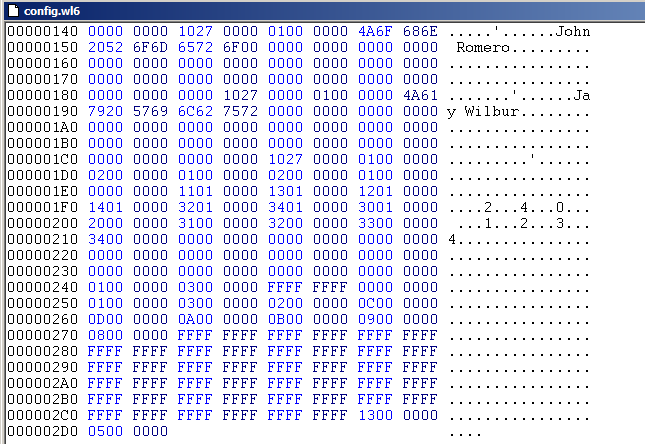 You only have to edit the config.wl6 file with a hex editor. It takes less than a minute if you have a hex editor already installed. If you know how to edit files you can also just jump to step 6. 2. 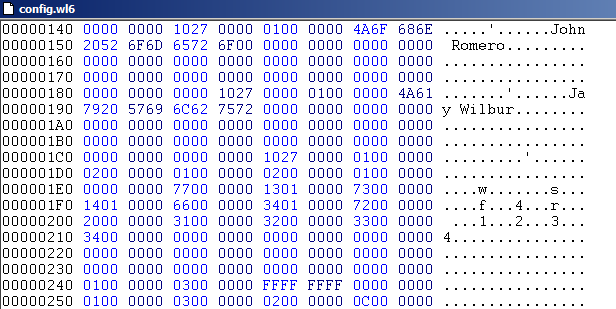 Open the file in a hex editor and scroll until you see something like "1 2 3 4"
6. This file is as #5 but with some extra edits after the "1 2 3 4"
This what the keys should do after you save the file. You can edit the movement and weapon binds as you like. Make sure you edit the exact same spots after the last weapon bind (chaingun) as seen on the screen. 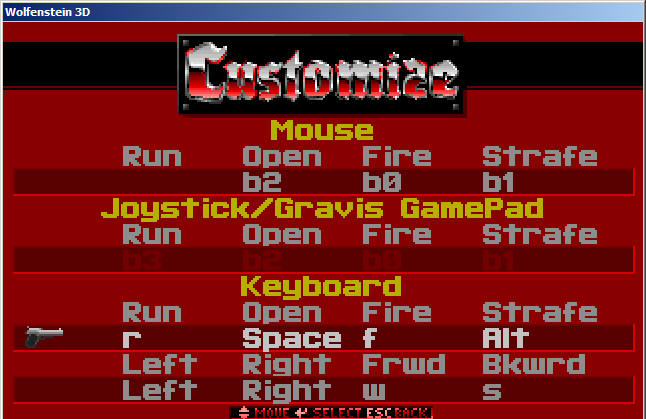 If you change something in the game menu it won't overwrite your new extra keys. H/K are at the same spots as A/D in step 6. Mods should have the same pattern between the keys but if anything goes wrong you can always delete the config and create a new one. and rest being the default controls. This should work for 99% of Wolf4SDL mods but there can be always some differences due to source edits. Some mods have extra weapon keys so you have to count the same steps after the last weapon. Some have maybe other keys. Maybe some mods removed the strafe keys totally and it won't work at all.